This paper explores the security considerations associated with moving to the cloud and discuss thekey challenges associated with public and private clouds. It will also describe the technologies necessaryto ameliorate current concerns regarding security in the cloud. 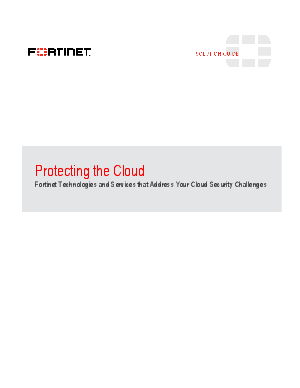 Lastly, this paper will discuss Fortinet's ability to secure data moving to, from, and inside an organization's cloud infrastructure.